Mine: A really first rate story told will skill and confidence. Adams hits just the right notes here. Beautifully filmed. A plot that was original and though provoking. I liked this a great deal. 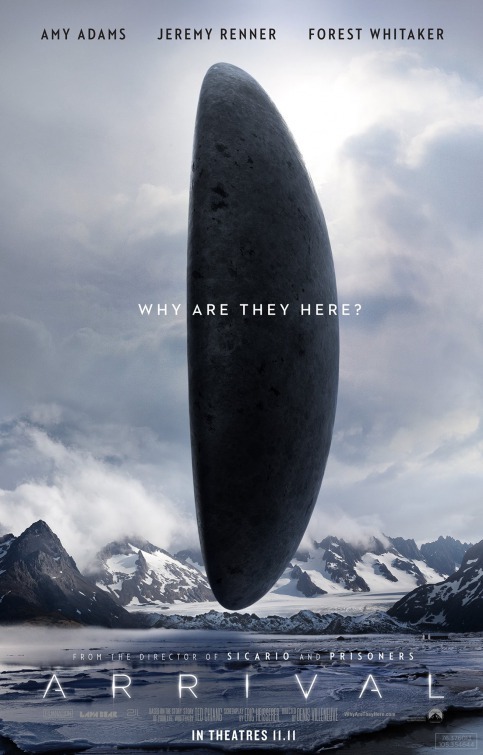 Leonard Maltin/Plot synopsis: When twelve mysterious spacecraft appear around the world, linguistics professor Louise Banks is tasked with interpreting the language of the apparent alien visitors.